Like many of us, I have done different detoxes over the years. Some have been successful, some not. Most have been difficult to follow because they were either inconvenient, always hungry or tired or just plain uncomfortable. In addition, I didn’t always feel I could actually see more than temporary changes. 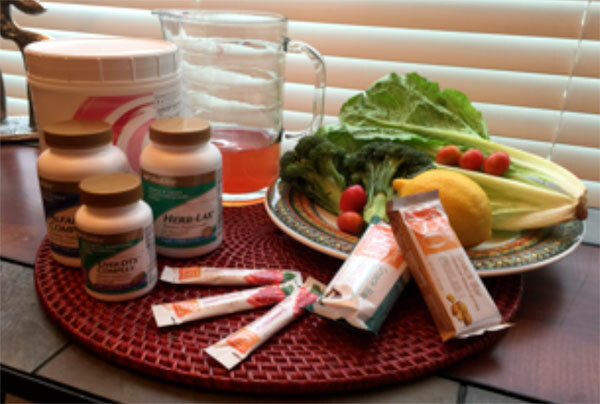 The 5-Day Reset is the first one I have used that was easy to follow, NO cravings, gave me energy and focus, and actually reset my metabolism to be what is right for my body. For me, that is a “set” point of 3-4 pounds lower (those pesky 5 lbs have finally left). This means that, even if I have a “bad” day, within one day I am back to my “set” point. I choose the Shaklee products for this because I know they are consistent, pure and in the right combination to work correctly. Lots of recipes are available for yummy shakes. Interested in getting started? Except for the shakes, the supplements will last you for at least a month. I recommend using them even after the 5 days are over to continue the reset and connecting with me. I look forward to hearing your results!! Shaklee offers a consumer membership that saves 15% on all products. The LIFETIME membership is just $19.95. You can use your membership discount on over 200 healthy products! If you purchase your membership today, the following discounted package prices apply. Click on one of the buttons below to learn more about the options and add to cart.